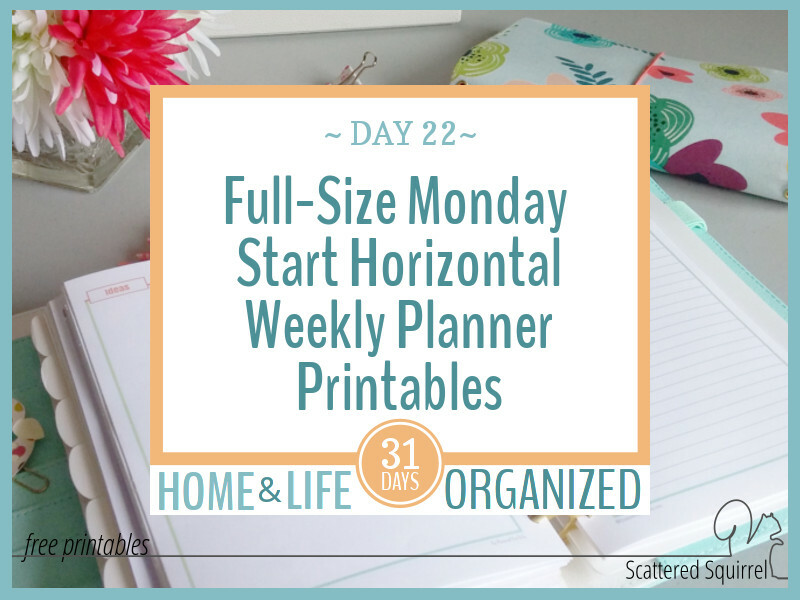 When I shared the first set of full-size horizontal weekly planners I didn’t realize how much I would miss having my planning week start on a Monday. As it turns out, I’m not alone in that either. Requests have been flooding in for a second version. I shuffled some posts around, shuffled the days around, and am happy to announce that the Monday Start, Full-Size Horizontal Weekly Planners are ready for you! 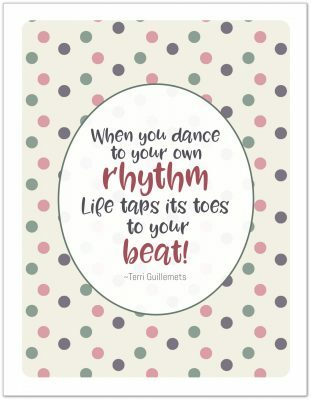 Note to self – when making new weekly printables, always make two versions at the same time. That’s the lesson I learned when it comes to creating weekly planners. I know there are many people out there who like planners that start on a Sunday, but there are also just as many (if not more) who prefer a Monday start. I usually make mine start on Monday because that’s how I like to plan, but this time I thought I’d try changing it up. Nothing wrong with doing things differently, but next time I’ll definitely make sure to make both versions at the same time. But that’s enough of my rambling. 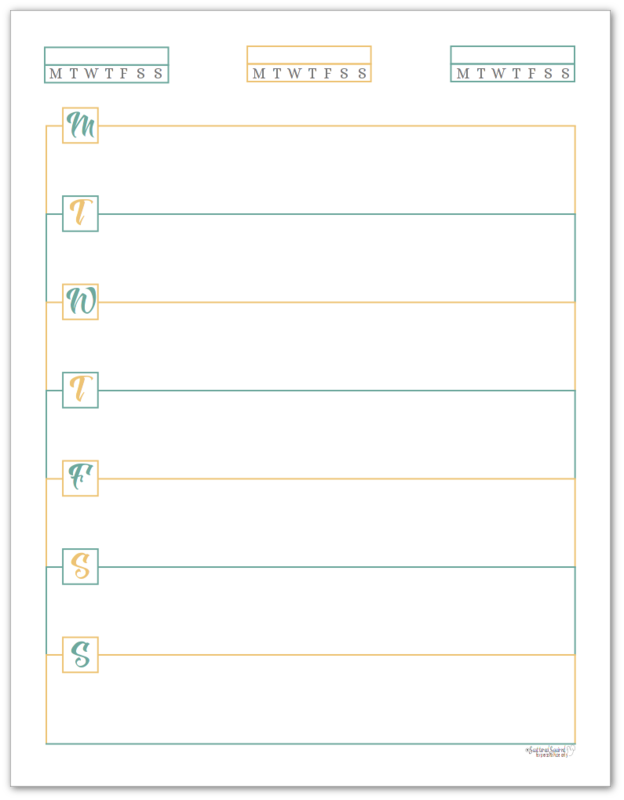 Here are the Monday Start, Full-Size Horizontal Weekly Planners! I didn’t just change the planning section, I also changed the habit trackers so they match up with the Monday start. I thought it would look weird if I left them the same. Other than those little changes, they are exactly the same as the other ones. And again, I made them in all the colours. I can’t seem to pick a favourite. Which is one of the many reasons that I like making my own planners. Being able to change up the pages to fit my changing needs and also to fit my mood and currently likes and dislikes is a wonderful perk. I just need to put a few finishing touches on their half-size versions and then I’ll be back to share those as well. I can’t believe we’re coming to the end of this series. Only 8 more posts to go and then I’ll be wrapping it up. I have a few more printables that I can’t wait to share, and some tips for how to make the best use out of multiple planners. I can’t wait to share all of that with you. Which means I better hop off and go get those other printables finished up for you. Here’s where I throw things over to you! Do you prefer a Monday or Sunday start for your weekly planners? Drop me a line in the comments below and let me know! Previous Post: « Introducing the Half-Size Horizontal Weekly Planner Printables! I am sure this is completely obvious…but how would I use the three boxes with the days of the week at the top? Thanks! Hi Lori, those boxes at the top are habit trackers. You can use them for daily tasks that you want to remind yourself to do each day or for helping build a new routine. 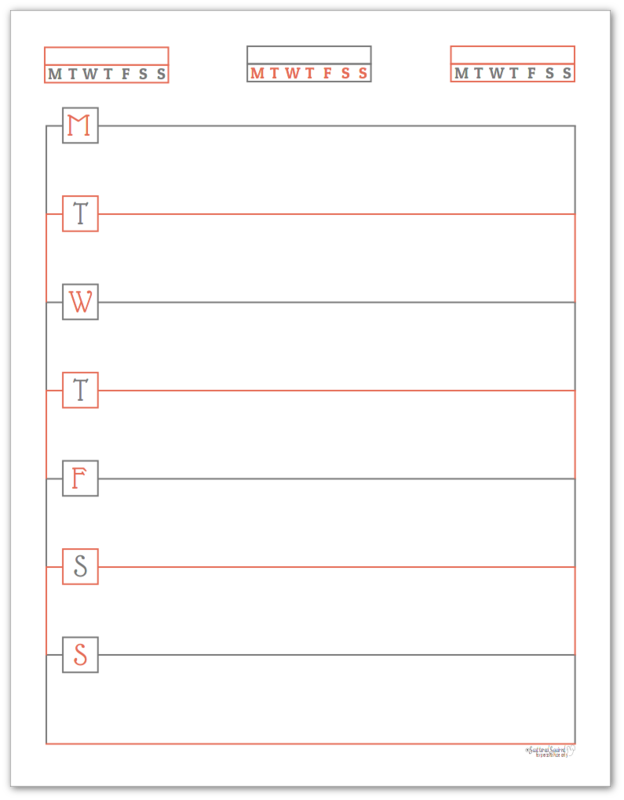 You write the task in the box and cross off each day’s initial after you’re done. 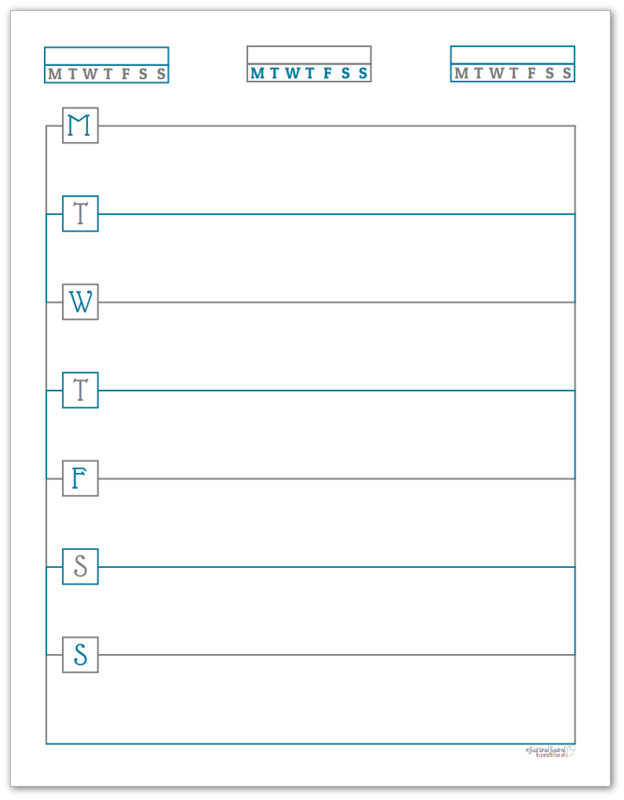 You can also use those boxes for your most important appointments or tasks for the week. Instead of crossing off each day’s initial, circle the day it needs to be done by.